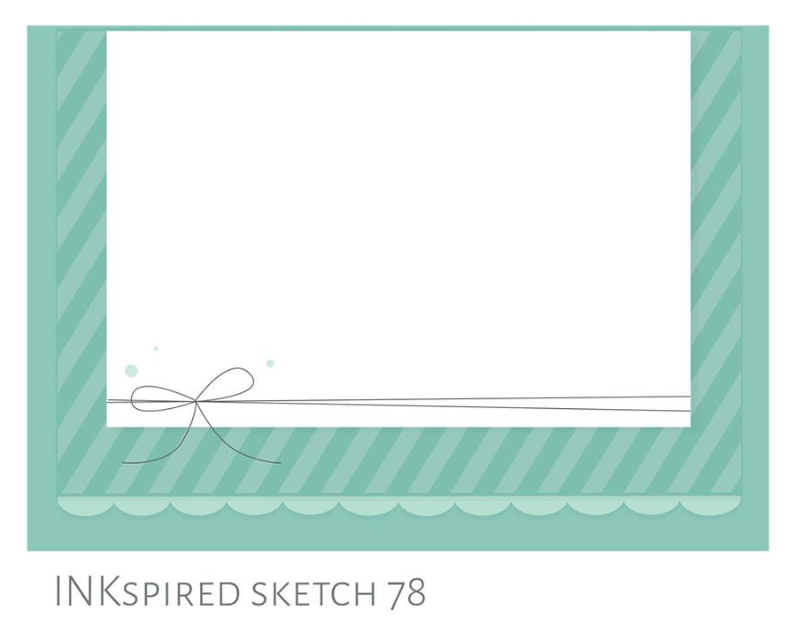 As you can see I added a strip of DSP to the top of the sketch instead of behind the stamped image. I started my card by stamping the image in Memento Black Ink on Thick Whisper White Cardstock. I did stamp the image off the cardstock, then continued until I got a full line of flowers. 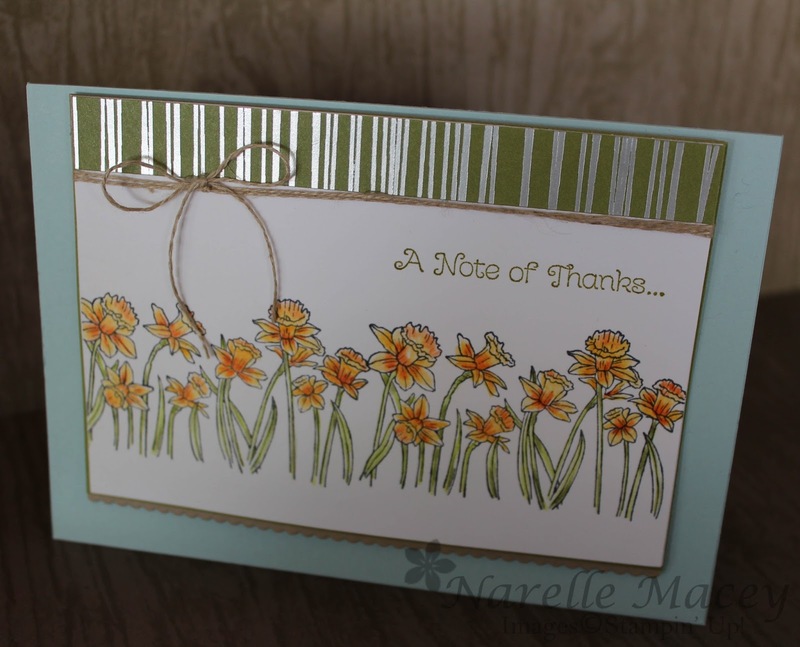 At first I was going to use my Stampin' Blend to colour but instead opted for my water colour pencils. I have really enjoyed colouring in over the last couple of weeks. I did add some depth to the flowers by using Pumpkin Pie on the shadowed areas. I hope you can take some inspiration from my colouring to try it for yourself. Its really fun to do. Now it's onto the lovely Allison and I'm sure she will wow us with her creation too! 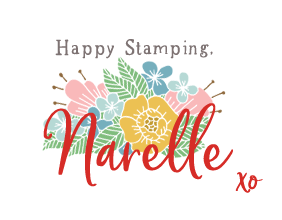 2 comments on "Inkspired Bloghop #78 - Your’e Inspiring"
great card Narelle, love it.